Despite health messages to limit sodas and other sugary beverages, most American children drink them often, new government statistics show. 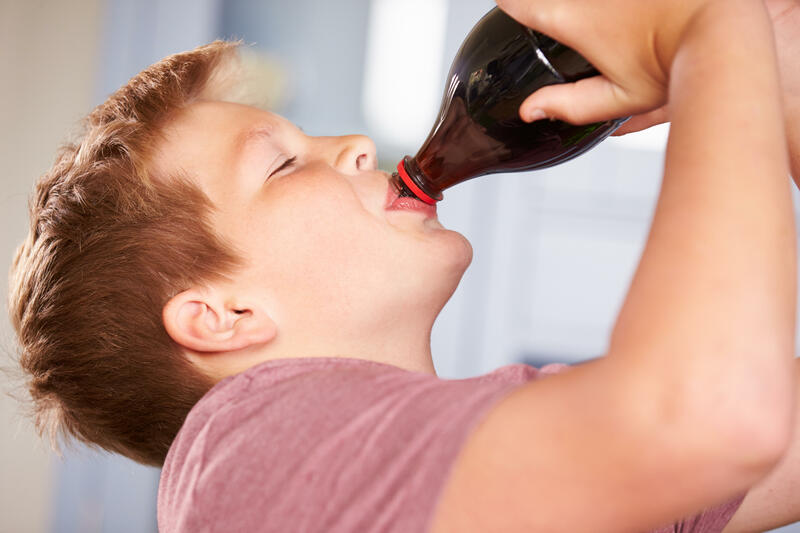 “For children, studies have shown that consuming sugary beverages is associated with weight gain, type 2 diabetes and dyslipidemia [high cholesterol], all of which have serious negative downstream health consequences,” said CDC researcher Asher Rosinger. Intake of these drinks is highest among 12- to 19-year-olds, but it’s not clear why. “Our report did not look at parental behaviors, like supervision or attitudes toward dietary guidelines, which may modify kids’ behaviors,” Rosinger said. “Added sugar does not give us any nutritional value,” said Sandon, program director and assistant professor of clinical nutrition at the University of Texas Southwestern Medical Center. Also, “some sodas are high in phosphorous, and diets high in phosphorous may have long-term effects on bone health,” Sandon added. The calories from sugary drinks are “empty,” and won’t keep you feeling full, Sandon explained. Instead of sugary beverages, she recommends plain or flavored water without added sugar, low-fat milk or vegetable juice.